Path for those who practice mountain biking by some season and not be intimidated by a technical course with its steep slopes. 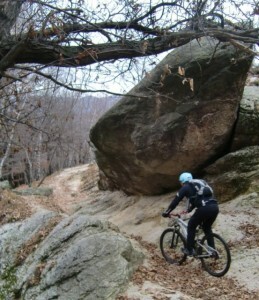 This route brings together the best the Mottarone offers to those who practice this sport; single track. rock garden, heaps of gravel stretch where the tires slide and sections where you better have a good pair of brakes. Distance (approx): 25 km. 3 hours. Recommended period: from April to November. May provide a stop for lunch (optional).